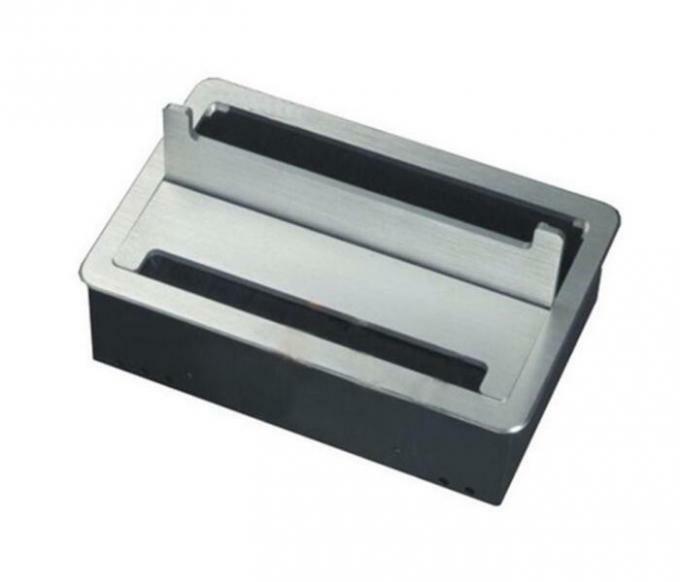 The multi-functional aluminum alloy double-open flip-top desktop socket is a relatively new, practical and beautiful multi-functional desktop socket on the market. This integrated cable box is suitable for office conference tables, class desks, negotiation tables, personal desks and the like. 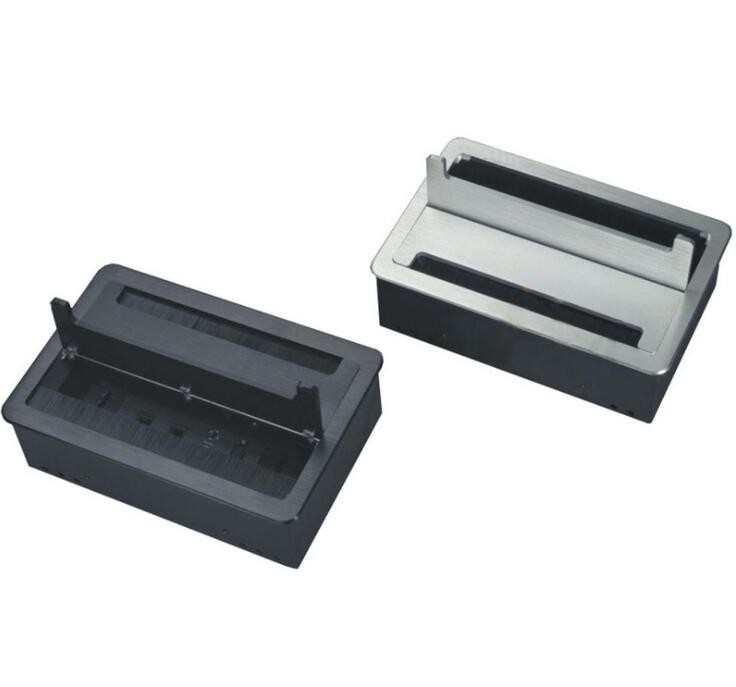 As the conference office countertop junction box, the appearance of this series of integrated wire box panels is made of high quality and fine aluminum alloy wire drawing material. The panel installation is embedded in any position on the conference table without affecting the overall effect of the office desk. The clamshell desktop integrated cable box does not need to be pulled out when the interface is used or not used. The cover is completely hidden during use, and the wire is taken out by the brush portion. 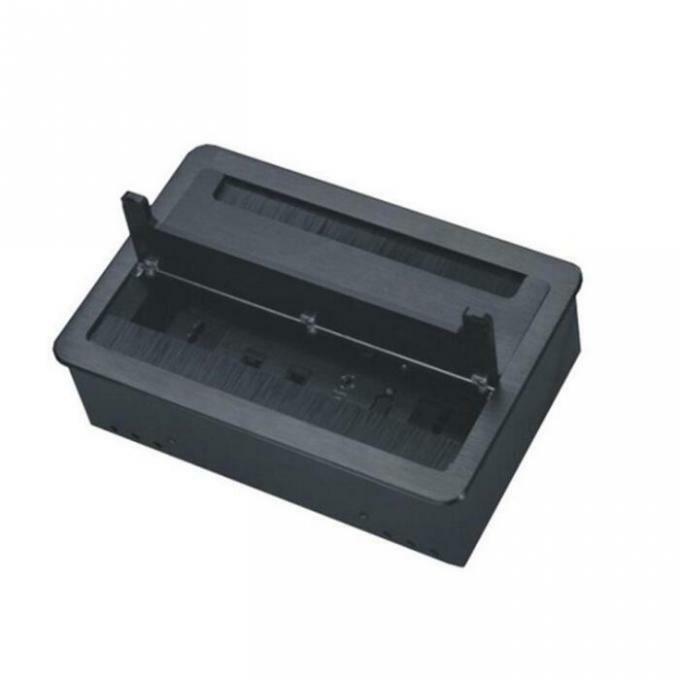 When not in use, the wire can be hidden inside the wire box, which can reduce the number of times the socket is inserted and removed, reduce the damage of the conductive metal of the plug, and beautify the conference desk surface.